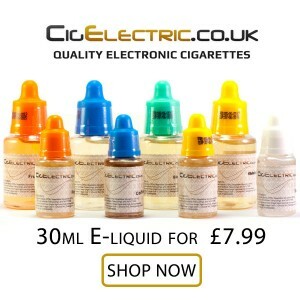 Just added a DIY e-liquid calculator to the site. If you mix your own liquid and want an easy way to get the perfect recipe then this is for you. Dont forget to bookmark to come back to it later. Let me know what you think. What could be added to improve it? Hi Benji. I have been wanting to start a company selling e juices for a while now. After many months of research and head banging! I have done it. I just wanted to say that your flavour mixing chart has helped me on the way. I have tried so many different mixes but yours always come out tops. I am now producing large quantities but early days on the distribution. Thanks for the initial point in the right direction. Clive. I need a 36% or 3.6 nicotine liquid with 10% flavoring but c nicotine base is 100mg/ml and its pretty diluted with both pg and VG 50/50. I would like a 60%pg and 40% VG 3.6mg/ml. I would just like to no if you could tell me how to make 100mls of 30pg/70vg at 6mg Nic and 20% flavouring please. Hi im new to this just wondered what do drops per ml mean in the receipe? drops per ml, is how many drops from a bottle does it take to equal 1 ml of liquid. Once you know this you can use drops from a bottle instead of having to measure the liquid with pipettes. This is great and just what I’ve been looking for. Thanks alot! !